In Bellevue, a misdemeanor conviction can incur serious penalties including jail time and expensive fines. The repercussions can haunt you for many years and in unexpected ways, so it makes sense to protect yourself with help from a qualified Bellevue legal professional. A misdemeanor conviction in Washington can be especially harmful to minors just getting started in life. One careless youthful indiscretion could result in a misdemeanor conviction, dramatically affecting their ability to find an a job, or even lease a place to live. Our Bellevue misdemeanor lawyers understand the implications of a minor being charged with a crime, so they will act as your personal advocate in an effort to minimize the lasting damage a conviction can cause. Bellevue municipal court and county district court can also handle these types of charges, just like with a normal misdemeanor. The statute of limitations for a gross misdemeanor is 2 years, meaning the prosecutor has up to two years to decide on whether to file charges. Common gross misdemeanors are DUIs, trespassing first degree reckless driving, hit and run attended, theft third degree, driving while license suspended second degree, and assault fourth degree. Our Bellevue misdemeanor attorneys will thoroughly define the penalties you're facing, so that you are fully aware of the stakes. Penalties for misdemeanor convictions include jail time, fines, driver's license suspensions, and probation. Our Bellevue misdemeanor lawyers will use their experience in an effort to have your punishments mitigated, but some cases require we go to court. Driving Under the Influence is a serious crime in Bellevue, and a conviction could cause you all sorts of problems. Less common DUI-related crimes include reckless driving, negligent driving, marijuana DUI, minor DUI, and physical control violations. Our Bellevue misdemeanor criminal attorneys will first seek to have your DUI charge dismissed, but if this course of action is impossible we will aggressively fight to have your penalties reduced in whatever way we can. Domestic Violence crimes that don't qualify as a felony are classified as a gross misdemeanor. Protect your rights with quality legal representation from our Bellevue misdemeanor criminal lawyers. Drug Offenses are classified as misdemeanors under the law. These crimes often involve the possession of small quantities of drugs, but the penalties are far more severe than most people realize, even if it's your first offense. 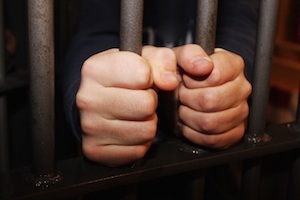 Shoplifting or Theft convictions often have life-altering consequences. Our Bellevue misdemeanor lawyers will defend your legal rights by building a defense based on the facts surrounding your arrest. We will focus on minimizing your penalties in whatever way the law allows. Contact one of our experienced Bellevue lawyers today for a free case evaluation concerning your misdemeanor charge. Don't underestimate the severity of a misdemeanor - get professional legal counsel that you can implicitly trust.